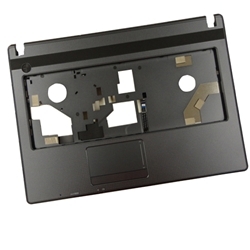 Description: New genuine Acer Aspire notebook upper case palmrest. This part is grey and includes the touchpad. Part #'s: 60.NE307.004, DEFC1449007, ZYE37ZQQTATN4026. Acer Aspire 4250, 4339, 4349, 4739, 4739Z, 4749, 4749Z.